Is wildlife control a worthwhile service to provide? Note: No real animals were used for this photo shoot. ERIC: Kurt, why don’t we offer wildlife service? It’s a great add-on service many of our customers request, and a service many other companies are providing. KURT: Well, Eric, we tried it in the past, but those specialty services aren’t our main focus. They take away from our core business. ERIC: That sounds like an excuse to me. KURT: It’s the 80/20 rule: The amount of time spent on specialty add-on services that don’t align with our business model just won’t work. ERIC: We could hire one person and do remote monitoring — that’s available now. We all know it takes a special individual to do wildlife management, but we could find that person. KURT: I’m sure we could find the right person to do it. However, the amount of time we would need to invest in the search would take away from our key focus. ERIC: OK then, what is your bright idea for customers who are asking about it? You know this time of year we get a lot of calls for what people think are mice in their attic, but what turn out to be squirrels or raccoons. KURT: That’s a good question. There are a few of options. We could invest a lot of time and energy into it and start a wildlife division. However, this likely would create challenges because our company covers such a large area. 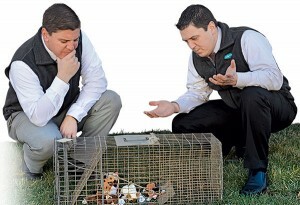 Another option might be subcontracting a professional who specializes in wildlife. Thirdly, there’s the option of referring the customer to a credible company that passes referrals to us when they see a pest problem. ERIC: We do other specialty services. I don’t understand what the big holdup would be. KURT: Well, with wildlife you have a lot of risk with people climbing on roofs and through attics — not to mention dealing with animals — many of which carry diseases — that could potentially bite our employees. I’m not having that. It’s too much risk. ERIC: Driving chemicals around in our trucks isn’t a risk? Dealing with baldfaced hornets isn’t a risk? KURT: I see where you’re going with this, but what about the euthanizing and disposal of the animals? It can be costly, and sometimes, downright smelly. ERIC: That’s a good point. I still can remember the smell of a dead rodent when you walk into a customer’s location. That’s when you knew you got one. KURT: See? It’s not easy to just jump into it. ERIC: But what about bird jobs for some of our large commercial customers? You know that has to be profitable work. KURT: I am sure it is, but we’re not going to take three or four guys off their routes for a week or longer just so they can do one bird job. ERIC: OK, I concede to that point. KURT: So … we are in agreement that what we are doing now is working? ERIC: I agree with you, I guess, but I’m not giving up on it yet. I mean, don’t you remember the ’80s cartoon “Shirt Tales,” with Rick Raccoon? Raccoons seem pretty nice and friendly, right? Well, PMP readers, what do you think? Drop us a line at PMPEditor@northcoastmedia.net.